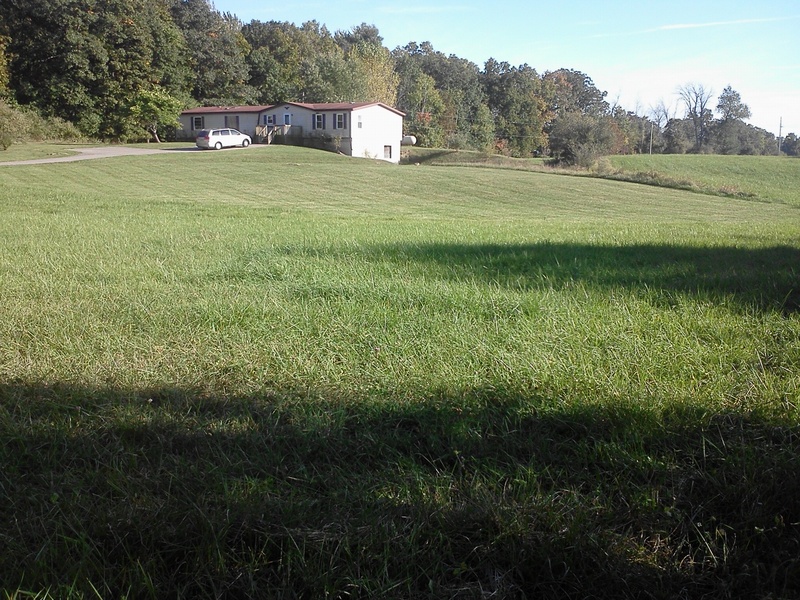 January 7, 2014 the day to close, the day that will make the farm officially ours is finally here! It’s the coldest day of the year thus far, with a high temp. of -4 degrees and the coldest day we’ve seen in our area in several years! It was a cold day but also a pretty one with the sun shining. The low for the day was -14 and the wind chills were in the -30 to -40 degree range! Just 2 days prior, we had a big snow storm which dumped a foot of fresh snow on us! We picked a fine day to buy a new house wouldn’t you say so! So we get all the papers signed and off we go! The plan for the day was to drive up to the house to meet the propane company who is scheduled to come drop off and fill a new tank so we can have heat until we get our wood burning stove installed. Then we were going to drive back down to Royal Oak to pick up a moving truck and empty our storage unit to move up to the new house. Well……things didn’t quite go as planned! After leaving the closing, on our way up to the farm, our drive was less than favorable! The highway was a mess from the big snow 2 days ago and that mixed with negative degree temperatures means ineffective salt which means miles of black ice! We saw 1 accident after another and even a roll over! It was a scary drive but we made it! While driving, my husband thought he would touch base with the plow guy to make sure the driveway was clear for the propane truck. My husband had drove out to the farm the night before for our final walk thru to find the driveway was snowed in with snow drifts that were up to his thighs and he’s 6’1!! There was no way the propane was getting delivered in that! Well, the plow guy forgot all about our last minute deal to clear the driveway which is about 200 feet long! It all worked out thankfully! By the time he was done the propane was there! That leads us to another problem. 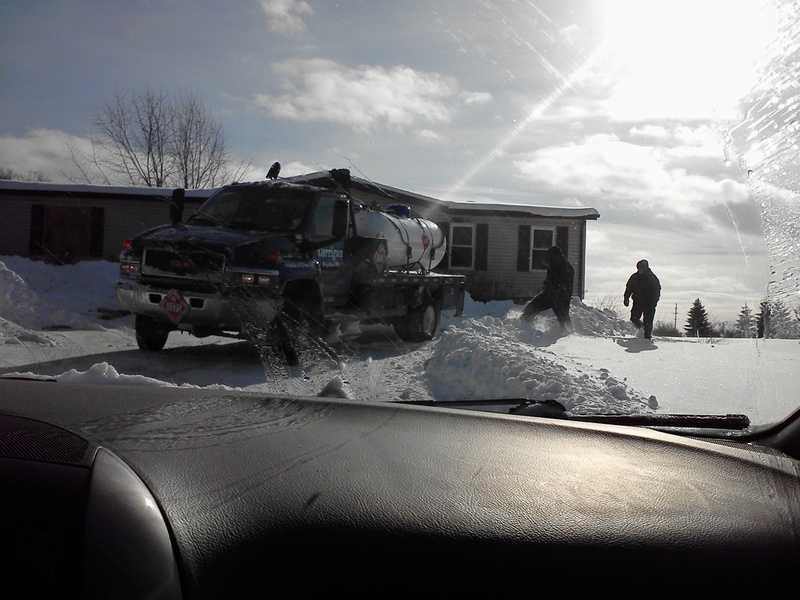 The old propane tank is in the backyard, with snow so deep, they couldn’t get the truck back there so they had to temporarily set the new tank in the front yard right next to the driveway until Spring. As luck would have it, we actually like it better here so we may make it it’s permanent position. Once they got the heat on, it was time for us to go grab some late lunch while the house warmed up above freezing so we could get something done! We cancelled the moving truck because of the roads so we were not able to do much this first day. After lunch, it was back to the farm. We started to cut out the old nasty carpet and disinfect the place. Day #1 is complete! Tomorrow is a whole new day! Rose Shadow Ranch, In The Beginning! After a long and grueling road Rose Shadow Ranch has a new home in Holly Michigan!! Let me take you on a journey from the beginning. For several years Rose Shadow Ranch resided in the city! That’s right, the city! It all started almost 8 years ago when a friend and fellow alpaca breeder taught us about the wonderful world of alpacas (this is also the same friend who got us involved in raising Norwegian Buhunds). My husband and I both have always set out to work for ourselves as much as possible, so raising alpacas was almost a no brainer for us. We took out a home equity loan to purchase our first animal at the tune of almost $19,000! We purchased her from that same friend who taught us everything we know about alpacas. She was a beautiful 5 year old girl named “Buffy.” Buffy was also confirmed pregnant so we kind of got a 2 for 1 deal. We arranged boarding with our friend since, after all, we live in the city! We then planned on buying a farm within 2-5 years thinking alpacas were going to be our new business adventure. Buffy went on to give birth to a beautiful rose grey boy we named “Storm.” We were lucky enough to sell Storm by the time he was weaned from his mother and made half our original investment back! Now that we had our first alpacas and sale we thought we were well on our way to having our plans work in our favor so we purchased another pregnant girl from a farm in Ohio. It wasn’t long after our second alpaca purchase that our economy started to take a nose dive. Our animals started to lose value, we started to lose money and it was downhill from there for several years! Our dream to buy a farm was becoming farther and farther out of our reach. To make a long story short, we sold off our herd of 6 alpacas, all except Buffy, who we continued to breed and sell her babies (crias) just trying to keep “our foot in the door” hoping that things would go back up again and soon! No such luck. However, Buffy is still a resident of Rose Shadow Ranch today and still resides on our friend’s farm where we board her. From the time I was a little girl, I just loved the country! I knew I wanted a country life at some point in my life, whether it was a summer cottage or a permanent residence, I knew I ultimately wanted to live on a farm! For 1 reason or another, leaving the city was proving to be very challenging! So I decided to make the most of what I had. I learned our city allowed backyard chickens so 2 1/2 years ago I went out and got me some chickens! A couple backyard chickens opened up a whole new world for me! The idea of raising our own food inspired me so much! A couple chickens led me to making friendships with other people who were doing the same thing! Those couple chickens quickly turned into a bigger backyard farming experience. Within a year, I had 10 chickens, 2 ducks and a flock of Coturnix Quail along side a rather large garden. Then I decided to take it 1 step further by planting a couple of fruit trees and bushes, and start making my own anything I could from laundry soap to bread to learning how to preserve food through canning and dehydrating and then some! All of this on a quarter acre! As you can imagine, we were running out of room and quickly! I realized that a self sufficient lifestyle suited me and ultimately, it’s what I want for my family. The cost of living in the city is ridiculously high here! I’m sick to death with struggling to stretch every dollar made and still not come out on top! Things needed to change! After a long and challenging road of a bad economy, job loss and a debt crisis, we made the decision to sell our city home, a home that I have known my entire life because the house has been in my family since it was built in 1952. My Dad grew up in this house and now, we are raising our kids in that same house. It had so much sentimental value to me! It was very bittersweet to sell my families home but the reality is, I couldn’t let a building keep me from what I wanted to do with my life. Plus, we simply can not afford to continue to live here with a mortgage over $1000 and a water bill that always was over $250 every 3 months not to mention the other monthly bills! I get to take all the memories with me and in the end, it’s the memories that I cherish! So up for sale it went in September 2013. It wasn’t long after we listed it that we got our first offer! At first we turned it down, but in the end it was that first offer that we did end up accepting. By Thanksgiving, the house was sold! Now, the home we once owned, we now are renting! During this whole process we found our farm! 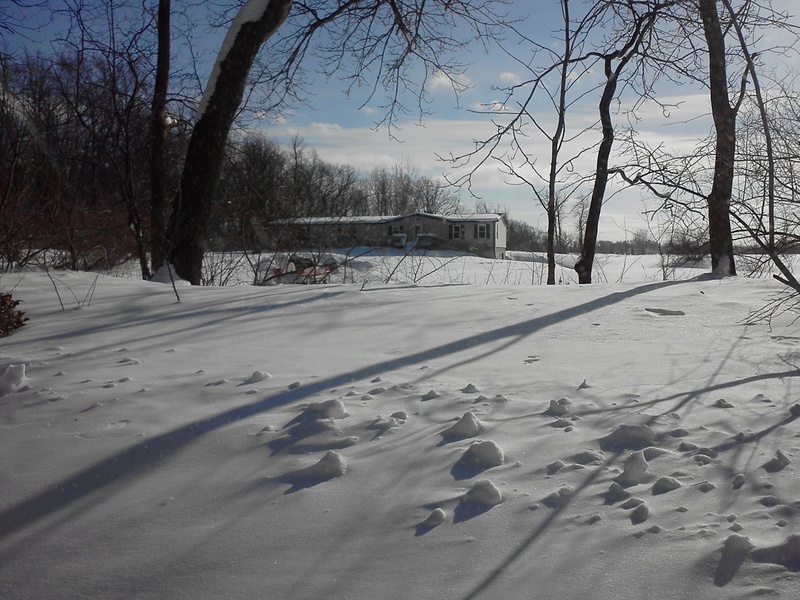 10 gorgeous acres 45 minutes north from our city life in Holly MI. 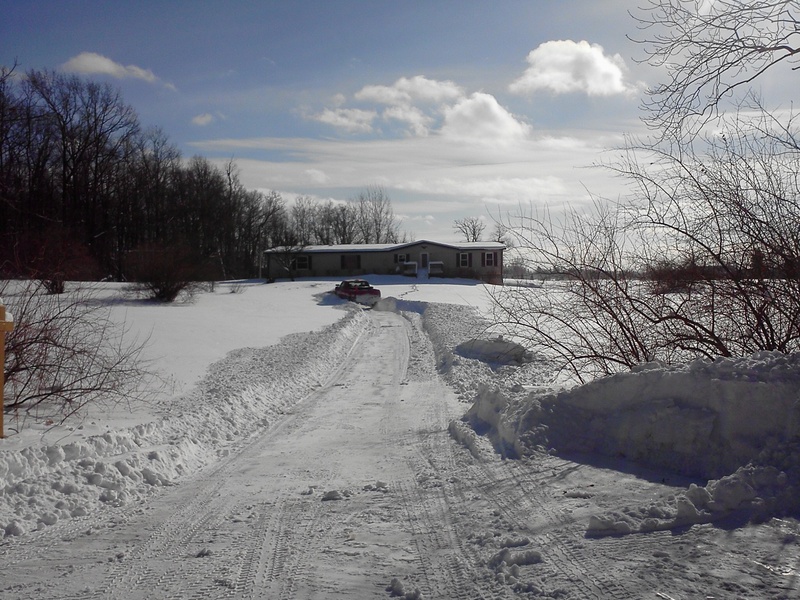 It was another long and grueling road to get it to the point of being ours but on January 7, 2014 we closed on our farm and officially it was ours! Now that you have a re-cap of our lives over the last 10 years and a visual of how we got to this place right here, right now, in our lives, tune in regularly for a day by day play on how we go from backyard city farming to self sufficient homesteading. It should be an interesting road and we do hope you will join us in our journey!